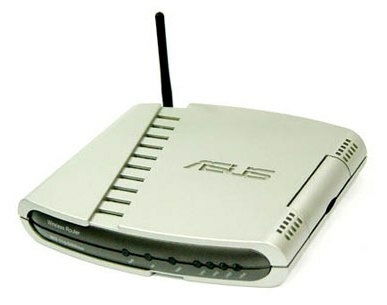 ASUS WL-500g is a premium Wireless LAN and Internet router which claimed by ASUS as world’s smartest WLAN router. WL-500b/g Deluxe features 54 Mbps date rate and provides all WLAN router function, including DHCP server, IP sharing, SPI/NAT Firewall, VPN pass through, WPA wireless security, WPA2 (Wi-Fi Protected Access) support, WLAN firewall, WDS function support, Bandwidth Management function, WMM support which controls bandwidth between the head-end (Access Point) and the client-end (computer), and the unique plug-and-share functions through the USB interface which allow users to set up FTP server, webcam server and printer server on the router. Users can also plug-in speakers to the router via USB ports and broadcast music and audio files wirelessly via USB Plug-‘n’-share speaker feature. Phoronix concludes that ASUS WL-500g Premium is certainly an interesting creation with its Download Manager (though lacks GNU/Linux and Mac OS X support), strong 802.11g WiFi signal, very well laid out administrative interface, and overall is a terrific package. However, the device is not perfect as it lacks 10/100/1000 Gigabit functionality for the wired connections, and the wireless capabilities could be improved with MIMO (supported by the ASUS WL-566gM). The ASUS wireless routers are backed with an open-source firmware that is Linux-based. This router would not be needed for the casual PC user that is not able to take advantage of many of these functional items, but for a PC enthusiast or gamer, this router packs some terrific features. Some of these features once again include NAS storage, print server, web cam server, UPnP media server, backup facility, and web server. For those looking at even a larger jump into having your wireless router multi-function as a media server, the WL-700gE includes a 160GB hard drive that is preinstalled. Another interesting ASUS creation is the WL-530g, which is incredibly compact in size. Surprisingly the WL-500g Premium router is not too expensive at approximately $110 USD.